Susan Ning joined King & Wood Mallesons in 1995. She is a senior partner and the head of the Commercial and Regulatory Group. Since 2003, she has focused on two main areas: advising on AML compliance issues and securing merger clearance for clients, during which she has undertaken hundreds of antitrust merger control filings on behalf of multinational and domestic corporations. She also advises clients in antitrust administrative investigations and antitrust private litigations. 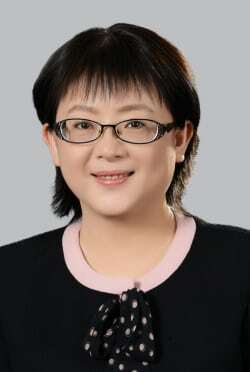 Susan and her team have been highly acclaimed in Chinese antitrust practice for years and recognised and awarded by different reputed legal ranking institutions and well-known legal magazines on many occasions. For eight consecutive years since 2010, Susan has been listed in Who’s Who Legal: Competition. From 2012 to the present, Ms Ning has been continuously ranked as a Band 1 Leading Individual in China by the renowned rating agency Chambers Asia Pacific edition. In 2017, Susan was voted as Leading Individual in The Legal 500 2017 rankings; Market Leading Lawyer by Asialaw Profiles; has been named to the Who’s Who Legal list of legal experts 2017. In 2016, based on the votes and recommendations of hundreds of in-house counsels, Susan has been commended as “In-House Community External Counsel of the Year” by one of the most well-known legal media in Asia, In-House Community. Susan holds a bachelor of laws from Peking University and a master’s in law from McGill University. Susan was admitted as a Chinese lawyer in 1988.